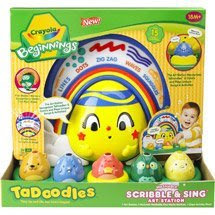 Sara over at Momma Findings is hosting a giveaway for a Scribble & Sing Art Station by Crayola Beginnings. Each person can earn up to 7 entries. This giveaway ends January 6th, 2009.